The sharp drop has been blamed on a perfect storm of an exceptionally hot summer and a declining amount of fish returning from the sea. Today, anglers will return to the river hoping for tight lines for the first day of the new season. 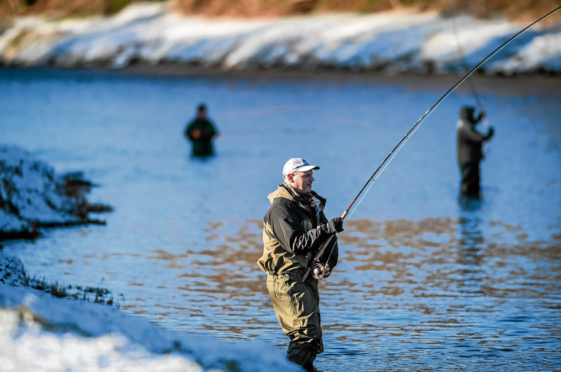 And the Spey Fishery Board believes there is cause for optimism due to the launch of a project to track “missing” Atlantic salmon and other initiatives to open up new parts of the river to create breeding grounds. In his annual report, departing chairman Brian Doran said: “History will record 2018 as the worst season on record and this has caused considerable disquiet, frustration and unrest in many sections of the angling community. The multi-agency project to track what happens to fish when they leave the Spey was launced by the Atlantic Salmon Trust to determine why the numbers are dwindling. Climate change and increased threats from predators are being examined as part of the study while barriers on the river and non-native plants have also attracted concern from the fishery board. Moray MSP Richard Lochhead believes tracking “missing” salmon will help to develop possible solutions to reverse the declining trend. He said: “Salmon fishing on the Spey is world-renowned and angling tourism generates significant income for the local economy. “It’s often the case that the catch data is cyclical over the years and everyone is hoping the recent dip will soon be reversed.